In late January I purchased Waldorf Largo and I’ve been using the hell out of it for work on my next album. It is now one of my most heavily used synths in my rig and I’ve crated a fairly large number of custom presets from INIT. IMHO this is one of the finest virtual analog instruments on the market and the sonic capabilities are kind of mind blowing when you dig into the synth. Also, Largo is architecturally 98% the same as my Blofeld (look for a future post on how they compare) there was almost no learning curve for me. I passed on Largo when it first released because I’m not a fan of the eLicenser technology and when I tried an earlier demo there were some oddities on Windows. The 1.5 update fixed these issues and added some great new features (see what’s new here) and once I tried this version I fell in love with the synth right away – so much so I decided to give in to the eLicenser dongle Regarding eLicenser, you don’t need a dongle if your only going to run on Largo one system, but I bit the bullet and bought the Steinberg USB Key so I could use Largo on my primary and backup systems. I also got the boxed edition so I could get the manual in paper form which ended up being a wise decision as the documentation is quite good. One of the best new features in 1.5 is Largo’s new Chorus effect. 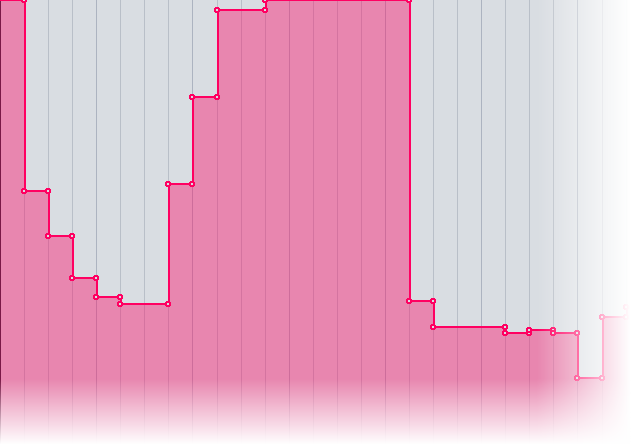 It’s incredible how you can radically modulate it in-real-time without producing unwanted popping or stepping artifacts.This goes for almost every parameter in the synth by the way. I wrote a custom patch from INIT, then used Ableton Live automation clips to crank on chorus depth and speed during playback over a 2 bars. 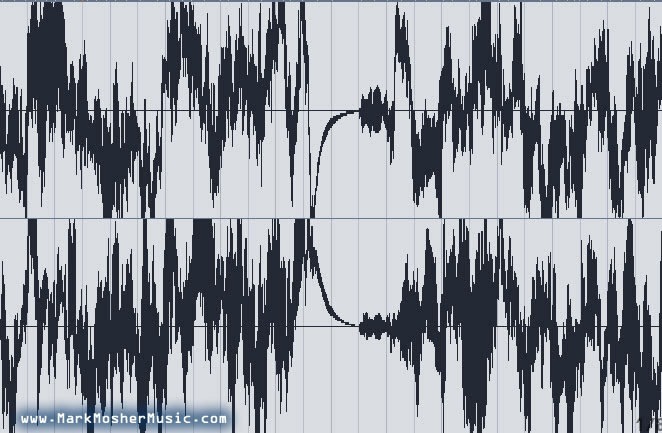 Below is the resultant waveform after I resampled the output from Largo. Crazy! I’ve written an entire song for the new album based on this waveform, variants of the waveform, plus live perofrmance playing the patch on keys while clips modulate parameters in real-time. Update: I made a t-shirt out of this waveform – you should buy it – you'd look cool in it! 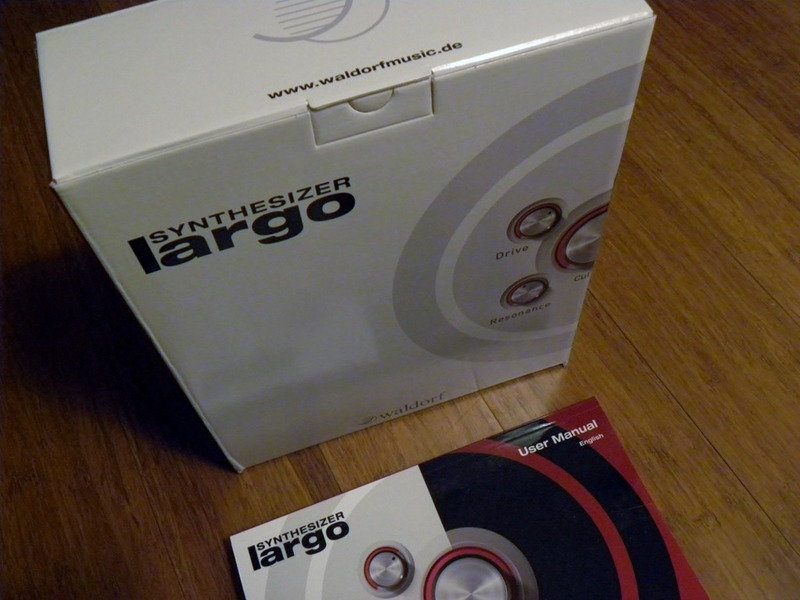 Nice review of the Waldorf Vst Largo. I agree with what you say. It can be warm and digital, you just have to tweak it – and my god the new Chorus is great. I’m always the most inspired by seeing what goes behind some of the “pro” soundsets. I only hope more 3rd party sounds come our way. You share really nice article with us.The music is really nice thing.You post really valuable information.